As a voice actor with 25 years professional experience, Ron specializes in over 200 celebrity impressions, from toys to corporate training. He's an especially warm and friendly person and it shows in his narrations. The demo's here say it all. They say you 'can't be all things', but in the last 20 years, Ron has come close! He does both young and old voices for radio and TV spots, creates new characters, animal sounds, numerous regional dialects, announcers, and more... Ron is industry approved for sound-alike voices: Will Smith (MIB II), Mike Myers (Shrek), Hasbro & Fisher Price's Star Wars toys (Qui-gon, Watto, Yoda, and Darth Sidious). 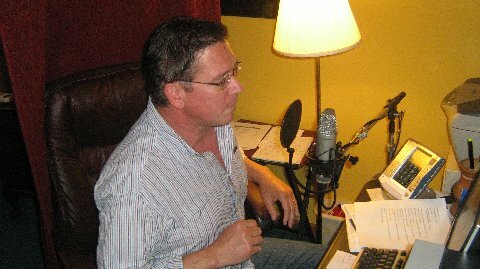 Ron is also a Narrator/Trainer voice for Sun Solutions, BMW, Corning, K-Mart, Johnson & Johnson and more. He's the voice behind McGraw Hill's ‘Education Story Teller' lesson series. 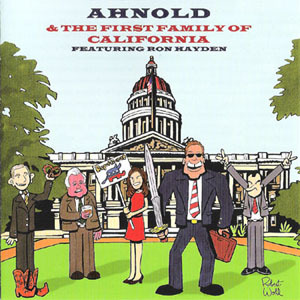 Ron recently co-wrote & performed all voices for "The Governator & The First Family of California" comedy CD, available on CD Baby and iTunes. Ron started out as a child doing impersonations, following Rich Little and other pros. He worked with 'The Underground Improv Group' in Richmond, VA. followed by morning radio comedy at WVBF Boston and WHJY - WWBB - WSNE Providence in the 80's. This led to free-lance voice-over and copy writing in the CT, RI, & MA Markets. Being a top celebrity impressionist has enabled Ron to become a versatile voice actor & writer sensitive to his clients needs. He’s a devoted father and husband who’s put off fame for balance. 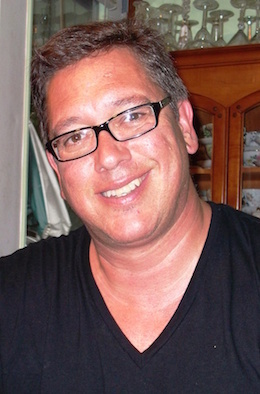 His creativity, warmth, and sense of humor make him both a valuable asset and a joy to work with. Shrek & Donkey, Yoda, Darth Vader, Transformers, GI Joe, Mr. Potato Head, Baby Barney, Video Now, Will Smith, Clue FX & more! What's Cooking at Belmont Market? I prefer to be contacted by Phone or Email.